High Amplify Shampoo is rated 3.5 out of 5 by 13. 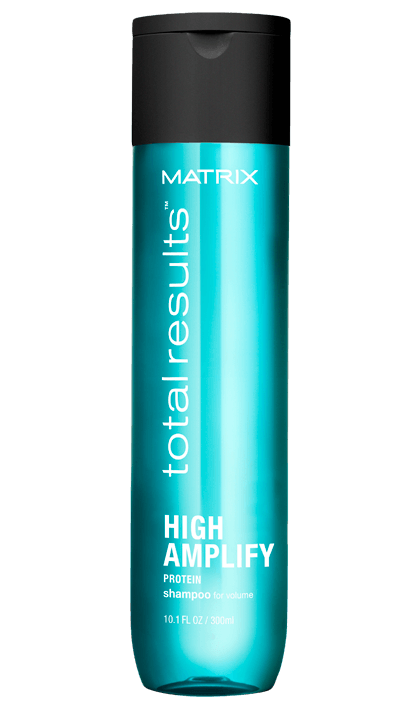 Share https://www.matrix.com/total-results/products/high-amplify/high-amplify-shampoo High Amplify Shampoohttps://www.matrix.com/~/media/matrix us media library/2017jan/2017trrefresh/tr_amplify_shampoo_wt_300_420x708.png Cleanses to help boost structure of fine, limp hair. Rated 5 out of 5 by Claire09 from Great Shampoo Leaves my fine hair clean, soft and full of volume. No slimy silicone to weigh hair down! Love it!!! Rated 1 out of 5 by Lwabz from Dry, tangled hair Purchased this from my salon and I am so dissatisfied! It's as if the shampoo and conditioner leech all of the moisture from my hair leaving a tangled mess that's horrible to brush and style. Rated 5 out of 5 by Madalina from I love it! This is the first shampoo that actually gives volume to my hair! I recommended it to all my collegues. Rated 1 out of 5 by GreenAndAnnoyed from Nope. I used this on my hair a week after it was dyed. Stripped my hair of colour and turned it green. Rated 1 out of 5 by ursula52 from Total results? this shampoo and conditioner does not do what it claims, very disappointed , it left my hair dull and dry, volume is basically the same as any shampoo, not worth the extra money! Rated 1 out of 5 by tj123 from Horrible I have tried all of this line and the others and they are horrible. Dry, breakage, lifeless and for some reason all of their products make my head sore. Like you have had a ponytail or clip in for 3 days and this is about within 3 to 4 hours after washing. DO NOT BUY THIS! IT DOES MORE HARM THAN GOOD. Rated 5 out of 5 by june from Volume Great shampoo for thin colored hair, also the conditioner also is great!Price is great for under 10.00.Must use the conditioner with it, you don't need a lot.Love it!